How do they get the holes in Swiss Emmental, organic or otherwise? It’s the propionic bacteria of course! As these little creatures turn lactose into lactic acid, they release bubbles of carbon dioxide. And there you have it—holes! 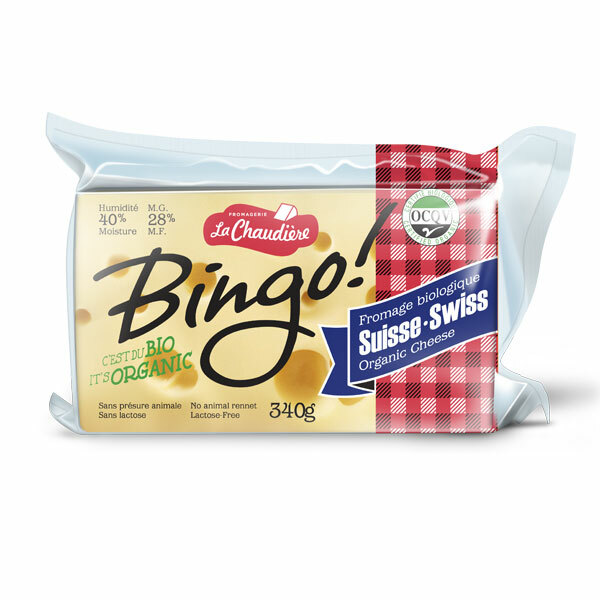 But our organic Swiss BINGO! is above all a mild, slightly sweet cheese with pronounced hazelnut notes. It also melts in your mouth. Delightful! • Lactose-free firm, lustrous pale-yellow, rindless, and made from organic milk using microbial enzymes from plants and thus no animal rennet.